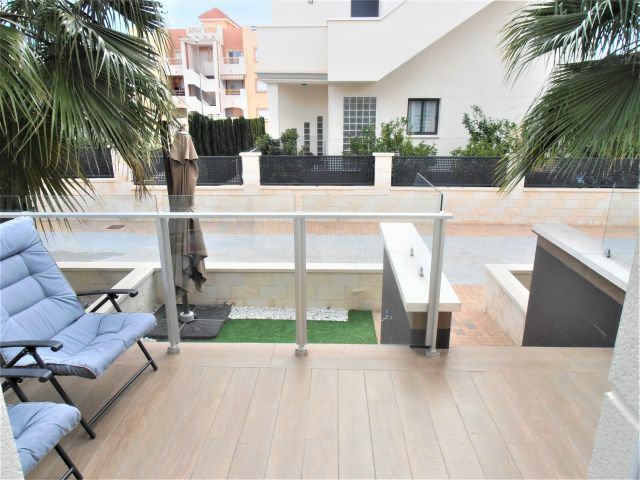 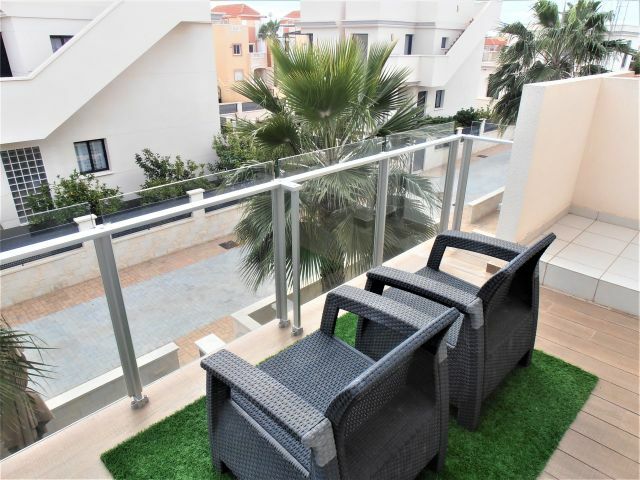 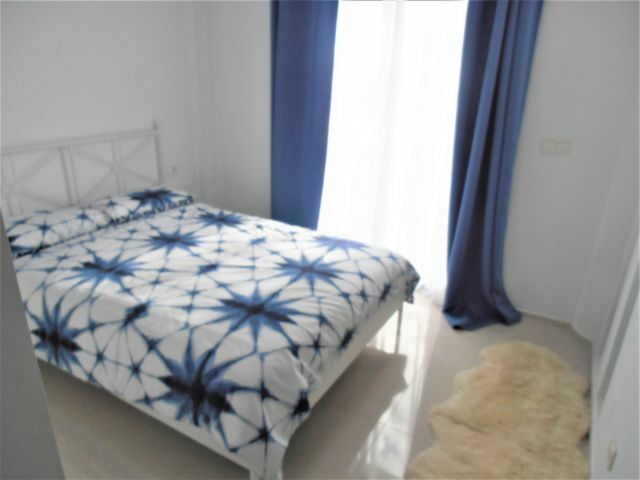 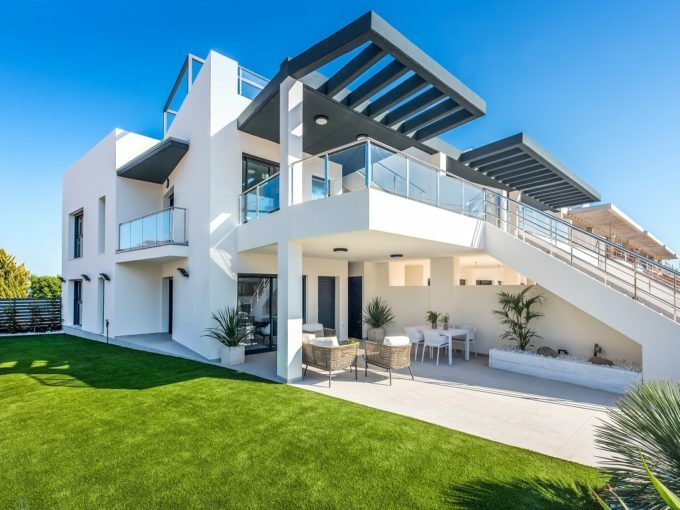 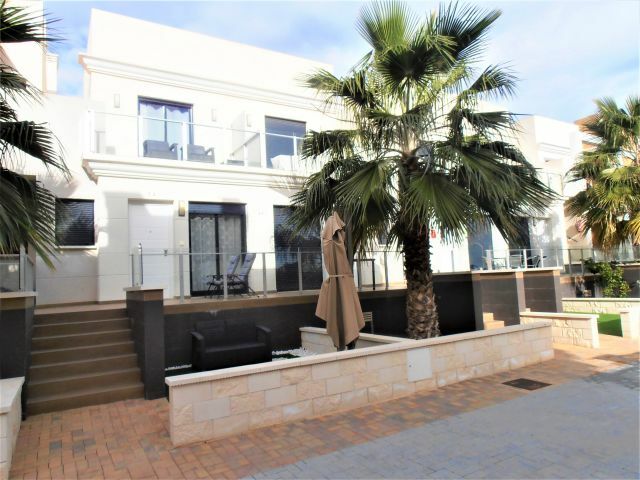 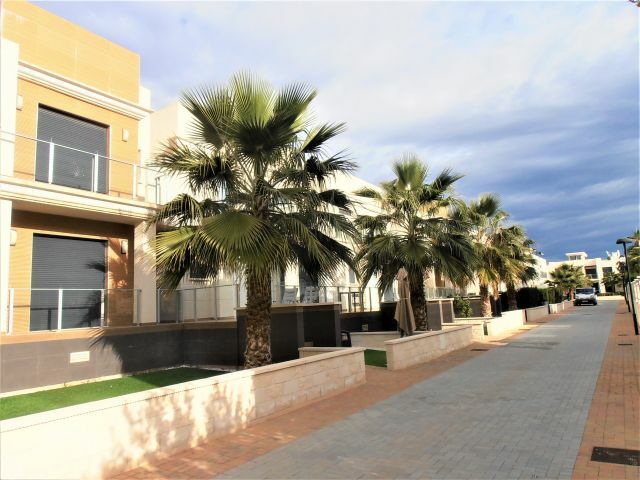 Modern design townhouse almost brand new for sale near La Zenia Boulevard, Orihuela Costa. 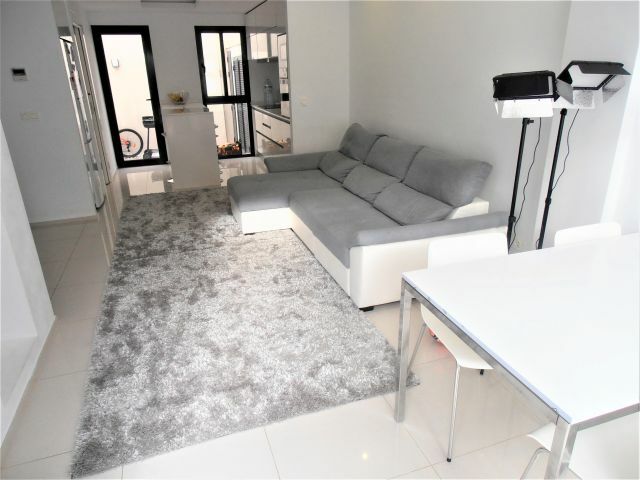 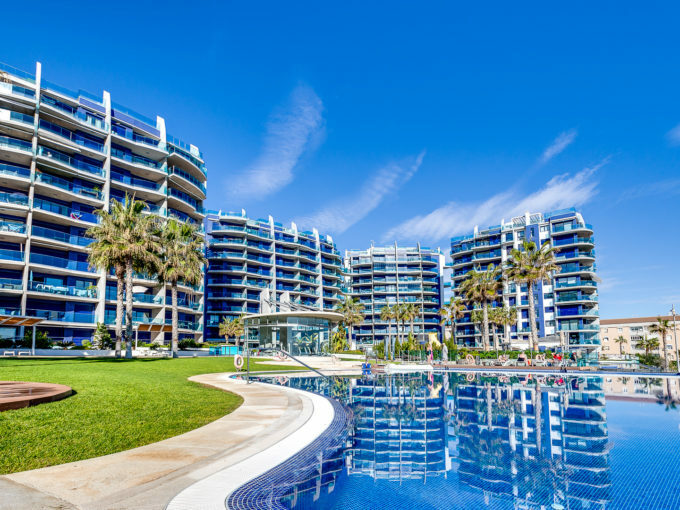 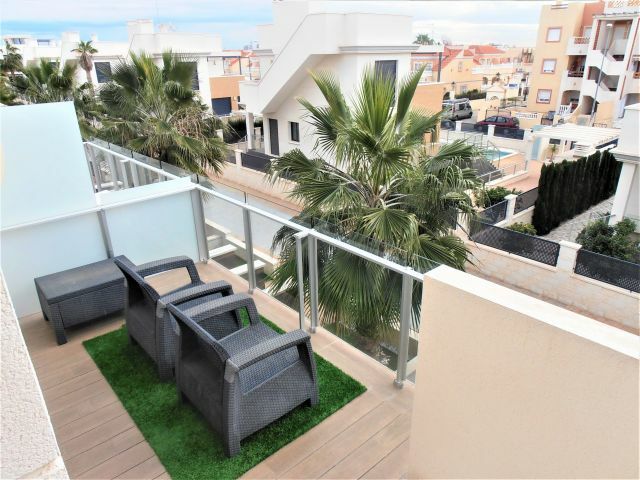 Modern design Townhouse almost brand new, located in quiet residential area next to Zenia Boulevard Shopping Center, walking to all kinds of services, such as Bus Stop, City Hall, Mercadona, Lidl, McDonalds, … 2 km from the Golf Courses and 1.5 km from La Zenia Beach, Playa Flamenca, Cabo Roig, Punta Prima, Campoamor, … Orihuela Costa. 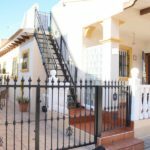 The house has a front terrace with a porch, large living room with American kitchen and Gallery and bathroom on the ground floor. 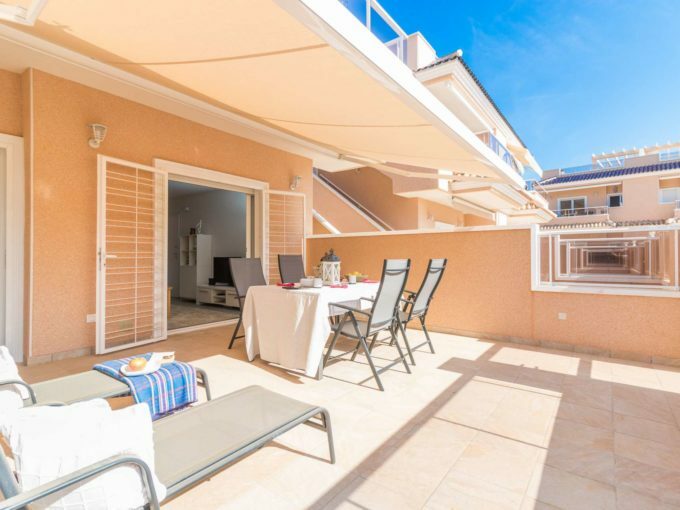 The first floor has a full bathroom and two double bedrooms with terrace and solarium overlooking the sea on the upper floor. 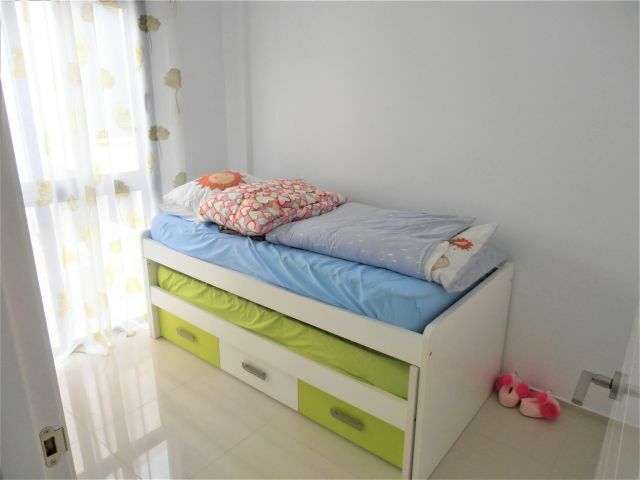 On sale furnished and equipped. 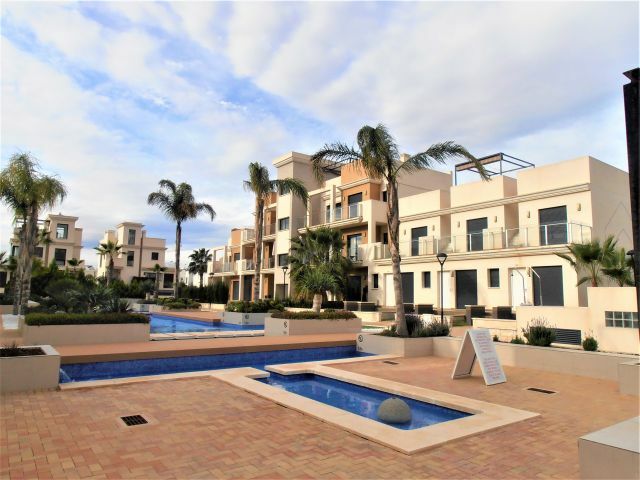 Gated Complex with Communal Pool and Gardens. 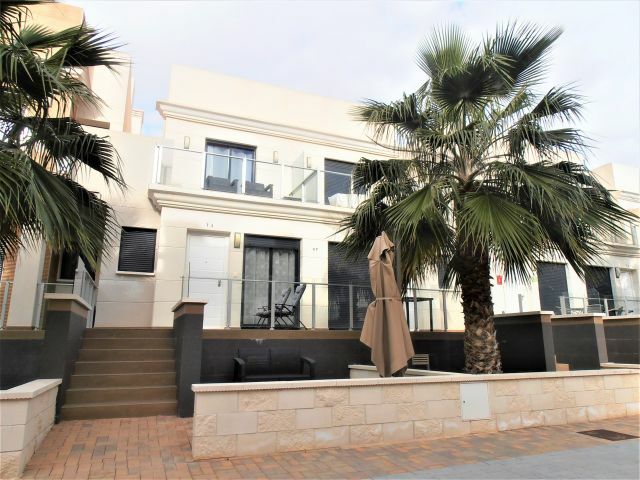 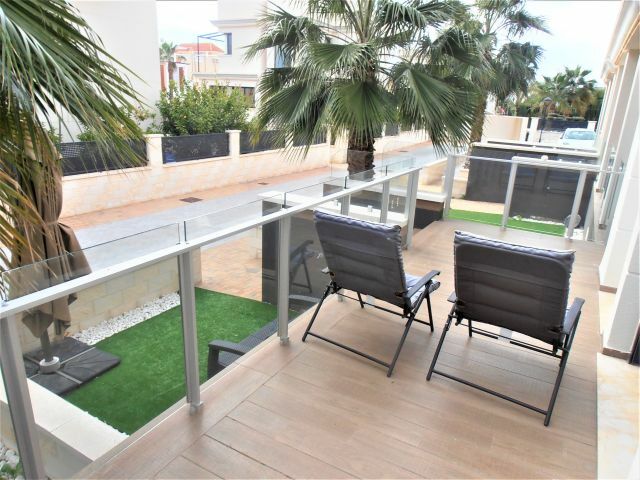 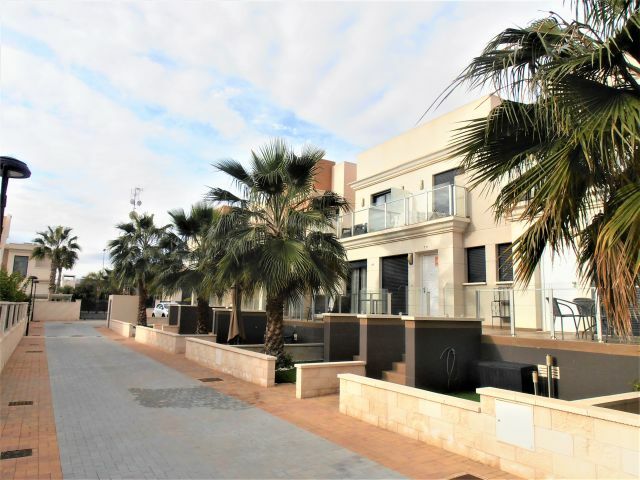 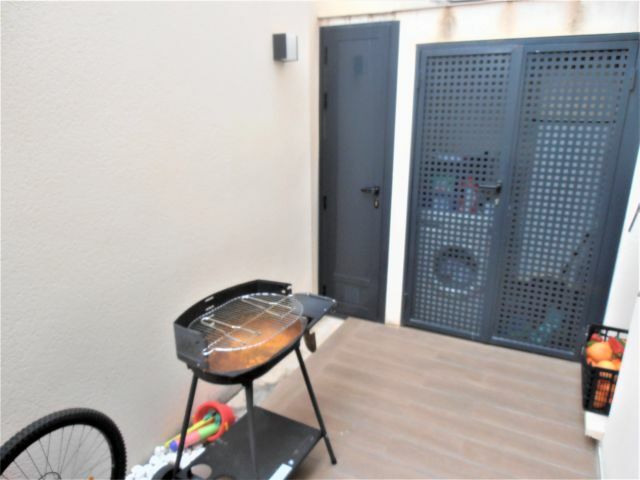 Beautiful spacious recently built townhouse located in a residential area in Aguas Nuevas, Torrevieja. 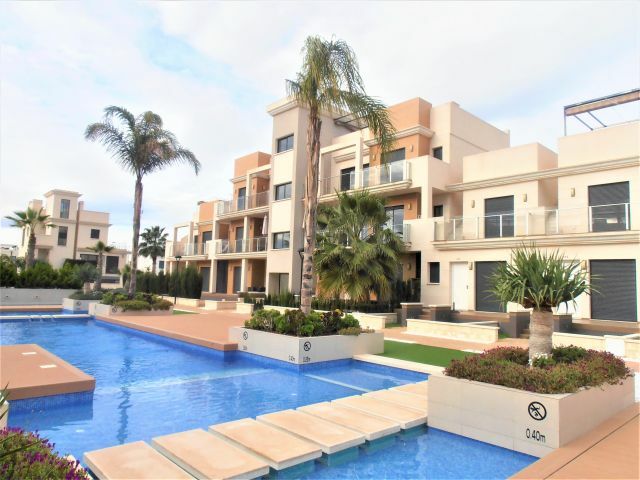 Spacious corner townhouse for sale in Playa Flamenca, Orihuela Costa. 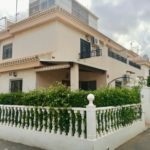 Bungalow for sale located in a gated community in Playa Flamenca, Orihuela Costa.